6op-KeyPads by DETUNIZED is Soundware (e.g. samples or presets that load into other products). 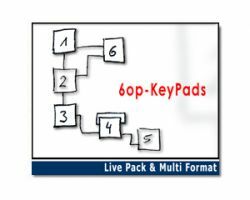 KeyPads Live Pack is the first installment of this series and puts focus on Keys and Pad sounds. Containing 40+ Live Rack instruments this pack is made for the keyboardist who just wants to stack layers and for the sound designer likewise. The Racks have a consistent Macro layout so that each sound can be easily tweaked from Keyboard to Pad and back. Especially the ModSpeed and AudioTranspose Macros - also in conjunction with the Color Macro - reveal unexpected modulation possibilities. 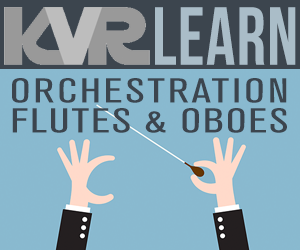 With this potential it is easy to create interesting variations of the preset sound. 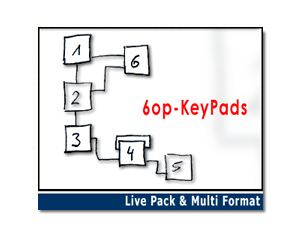 KeyPads Multi Format contains 44 different patches in 5 multi-purpose formats that load into Kontakt, Reason, Logic, Dimension, Halion, Directwave and a lot more software samplers. This guarantees for easy handling of the included sounds. Included formats: SFZ, NKI, SXT, EXS, FXP. 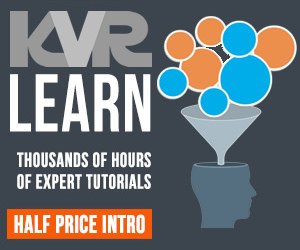 Live Pack: compatible with Live 8/9, 44 Instruments, 550 MB. Multi Format: 44x5 patches, 748 samples, 550 MB.